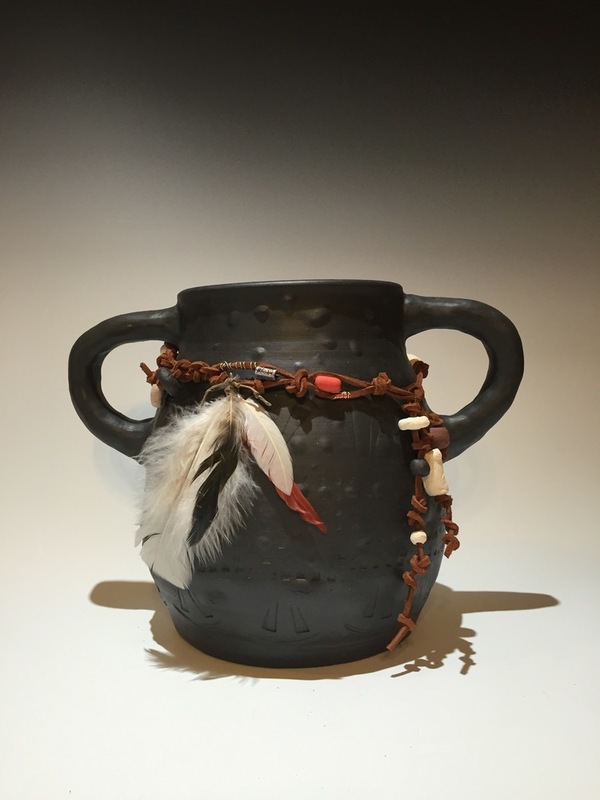 Our Cherokee Tribal Ceremonial Pot is hand made by our Cherokee potter, Valinda Miracle. It measures 9 inches tall and is 8 inches across the base. It is adorned with feathers, items that are treasured by the Cherokee.